Funded by the Aktion Mensch Stiftung, the ISÖ will evaluate the project “How to make participation work? 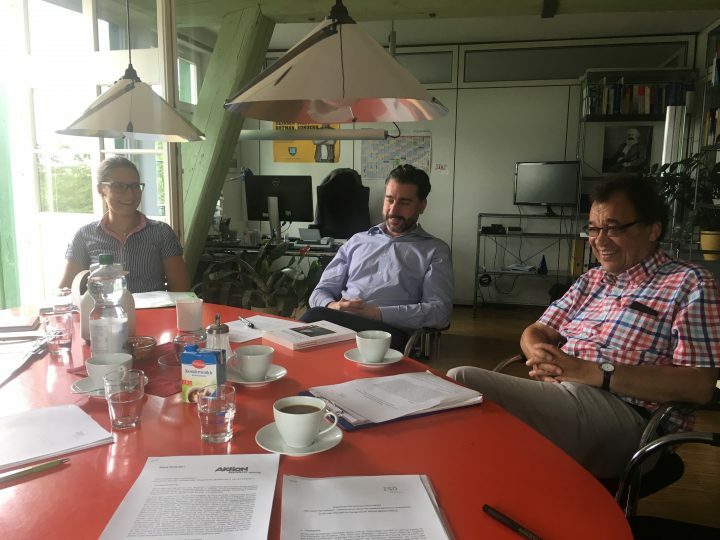 – Collective inclusion through the conversion of the offers” of LIGA Thüringen by 2020. The main goal of the project is to show people with disabilities their choices for an individual way of life. Through consistent participation and person-centering, they should be strengthened and empowered to play an active part in shaping the necessary change processes of the integration assistance. A further aim of the project is to develop classic offers of previously inpatient and partially inpatient integration assistance, together with providers, service providers and other actors, into personal centered outpatient services and to present this process transparently. Questions about concept-, organizational- and personnel development as well as the development of new remuneration structures are at the center of the discussion. Between 2011-2014, the predecessor project “How do you measure participation in the integration aid?” was successfully completed. The result was the instrument for determining the needs of people with disabilities, the so-called Integrated Participation Planning Thuringia (German: ITP Thüringen). This project was also supported by the Aktion Mensch Stiftung. The task of the ISÖ is to continuously evaluate the activities within the project through a user, specialist and multiplier survey, through text analyzes and an annual evaluation workshop. A final report will summarize the results. Sophie Peter (ISÖ) in conversation with Stefan Werner, regional manager of PARITÄTISCHE Thüringen, and Reinhard Müller, his predecessor as regional manager, who is an adviser in the project.